Going to be in the Pasadena, CA area this Memorial Day weekend? Planning to barbecue one day, but not sure about what to eat the other two days? My friend Adela is selling tamales on Saturday and Sunday. Her mom makes ’em from scratch, and Adela delivers them to your door. Call her at 626-243-6760. This entry was posted on 22 May, 2008 at 2:55 pm and is filed under Food & Drink. You can follow any responses to this entry through the RSS 2.0 feed. You can leave a response, or trackback from your own site. I just placed my order. Thanks for the tip. I’d rather make a phone call than make tamales any day. 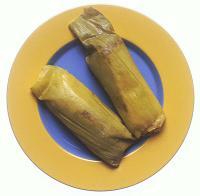 Are they good tamales, or are they made with something other than lard?